Have you ever woken up, feeling anxious or uneasy about the day ahead of you? Sometimes you need a little pick me up to help you survive the jungle you are about to enter. I have two forms of personal pick me ups…peppermint tea and red lipstick. Peppermint tea is an old stand by, ever reliable for hot minty goodness that wakens me. It’s something I need most mornings to prepare myself for the day ahead. Wearing red lipstick on the other hand is something I decided to try on a whim, and I have never looked back as it seems to have jump-frogged tea in terms of effectiveness in giving me a boost. Now I know some of you reading this might be anxious about trying something so bold (particularly the men) but I urge you to give it a go. What exactly does reddening ones lips do? It adds a dollop of style, a dash of va va voom and a tonne of CONFIDENCE. Sometimes it’s the small things that make all the difference. If the weather is dreary or a potentially bad day is looming, red lipstick comes out swinging and puts a spring in my step. Rather than reflecting my crappy mood or anxiousness, I’m choosing to face the day head on with bright lips in my corner backing me up. Remember, red makes everything go faster, including that bad day. BUT it doesn’t just have to be to face a bad day. ANY day can be a red lipstick kind of day. It makes me feel glamorous, braver, polished, more adventurous and more spontaneous. Maybe I’ll try something new, maybe I’ll splurge on something different, maybe I’ll push that big blue button at work to finally discover what it does. My red lipstick said I could. Through my experience, I have discovered the key to a successful red lipstick day is long wearability. It’s just plain annoying to have to constantly re-apply and check for smudging. 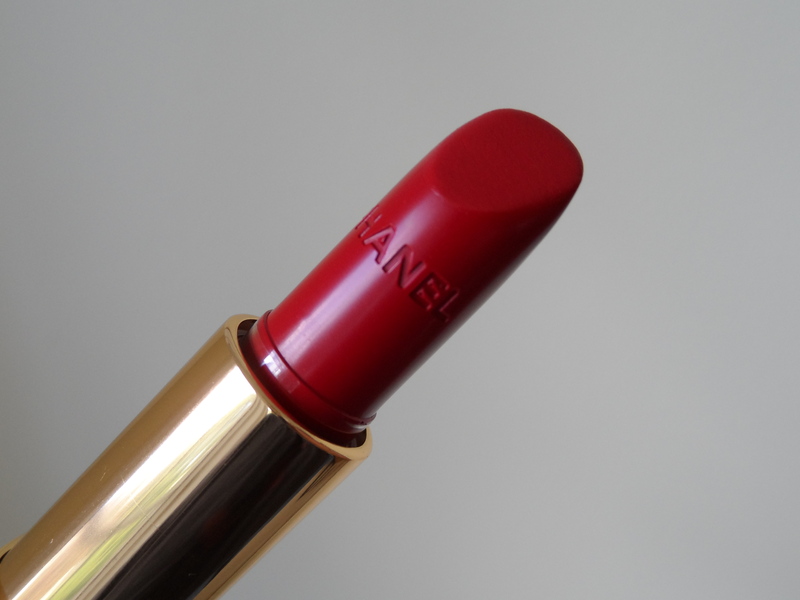 My weapon of choice, Chanel Rouge Allure in Pirate. It stays on for hours and is the perfect pinky cheery red with a hint of badass-ness. So next time the weather is bad, you need a boost or you just want to be brave, I double dare you to try it. It will brighten your day (literally and figuratively). Previous PostI had this dream.